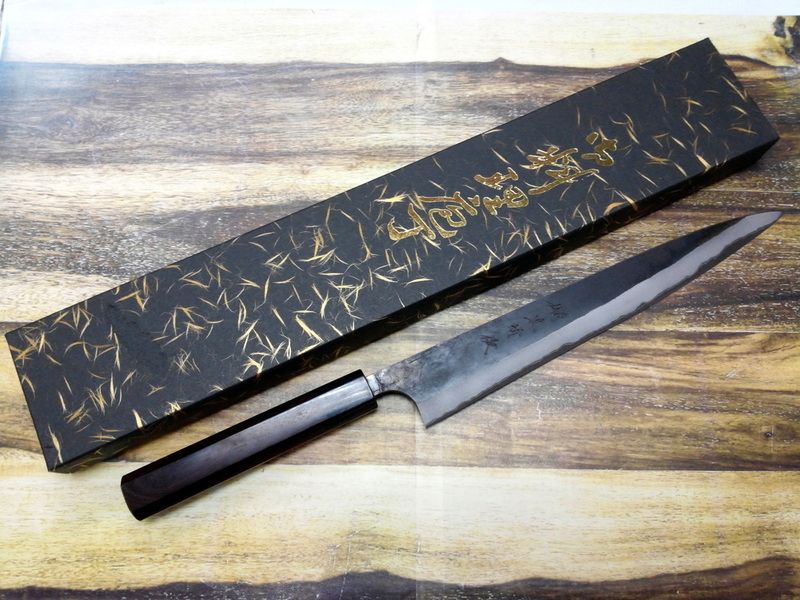 Hand forged by Master Blacksmith Shiro Kamo, he was awarded prestigious “Dento-kogeshi” (Master of Traditional Crafts) at a very young age, “Dento-kogeshi” was also awarded to other Blacksmith in Echizen like Takeshi Saji and Katsushige Anryu. 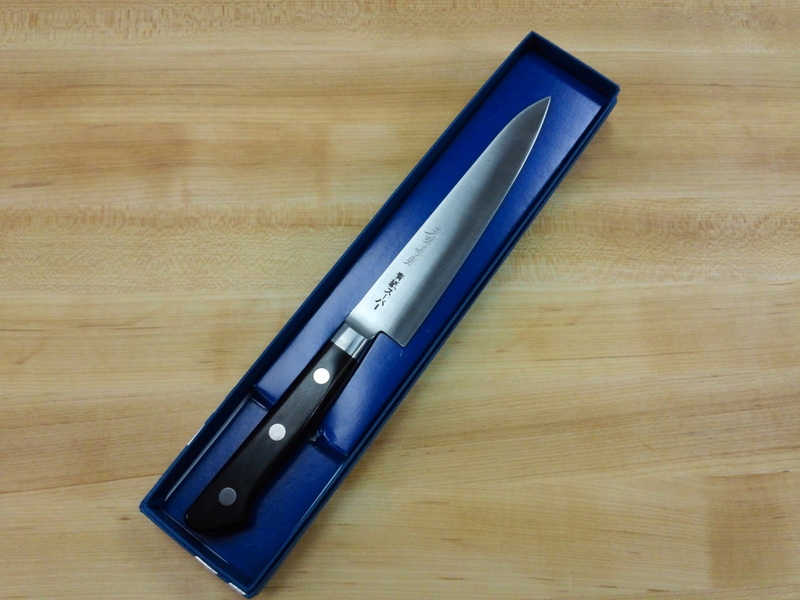 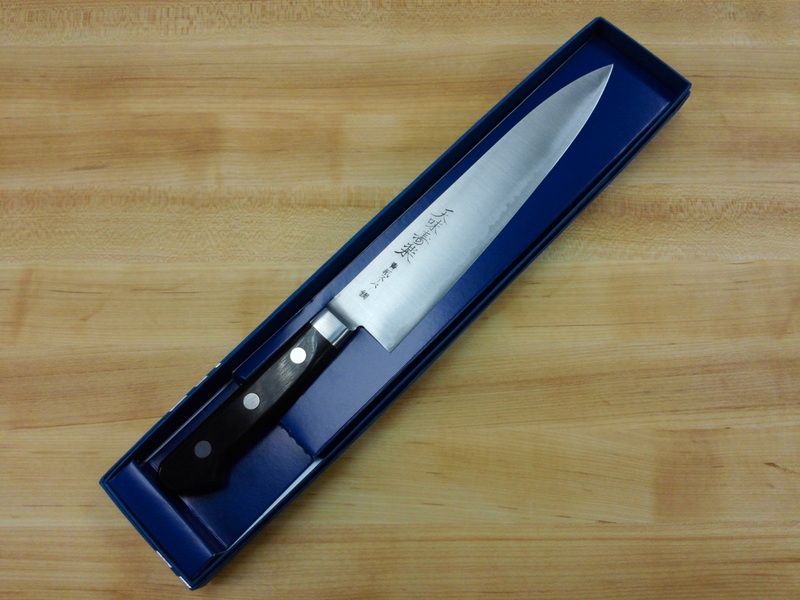 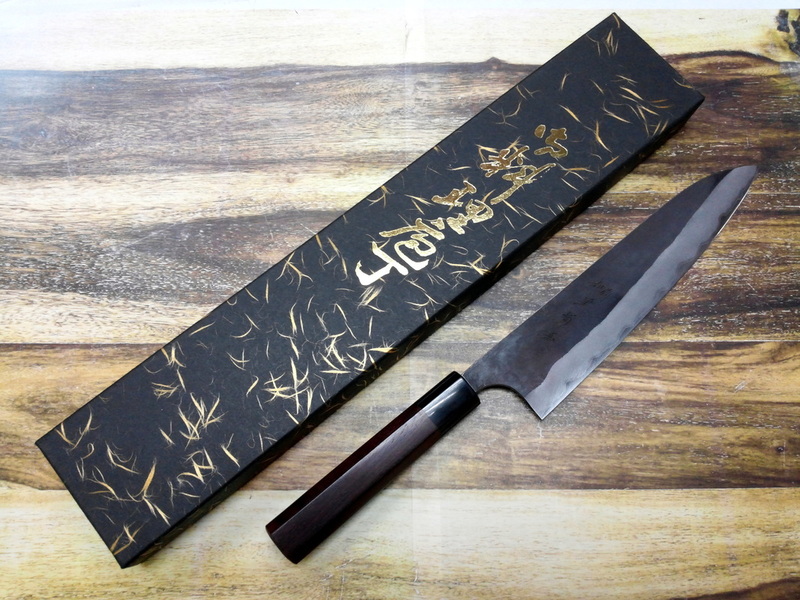 Aogami Super (AS) steel was chosen for excellent edge retention and keen sharpness, it is cladded in Stainless Steel for ease of maintenance with Octagonal Rosewood Handle. 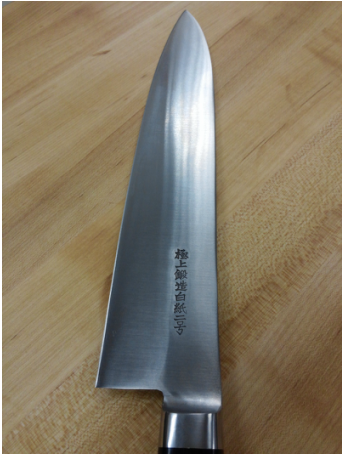 Notable feature was its wider blade height 50mm that translate into better knuckle clearance especially for user with bigger hands. 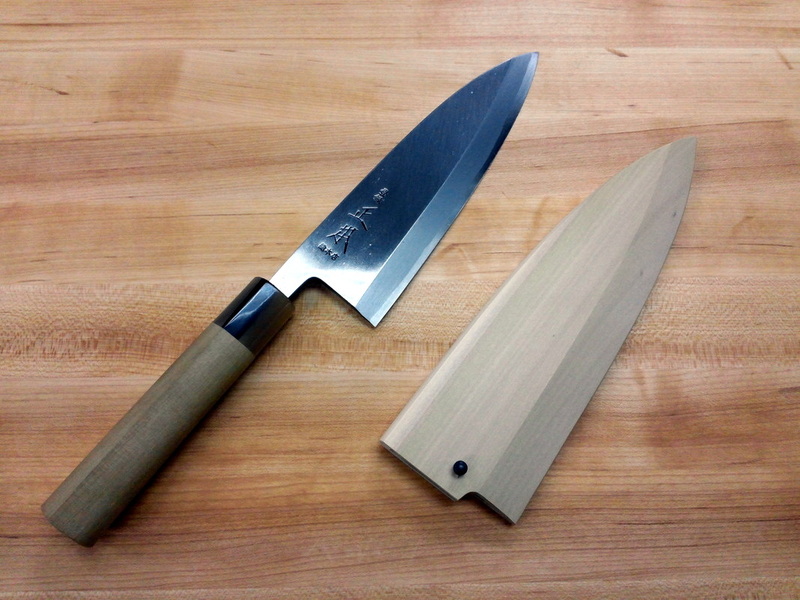 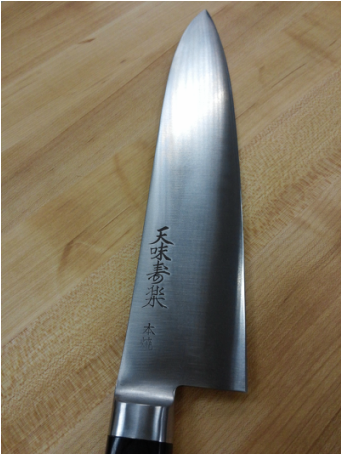 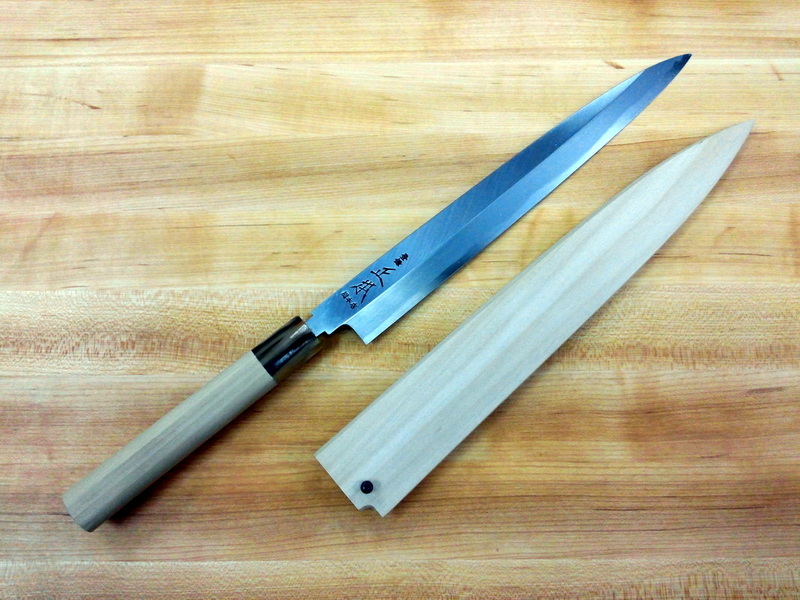 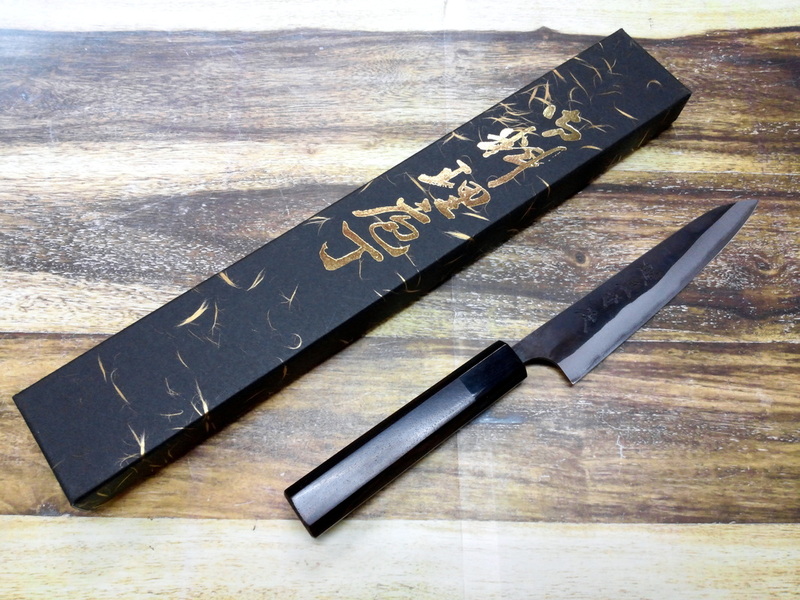 Blade face was given the traditional Kurouchi finishing that gives it the rustic and traditional look. 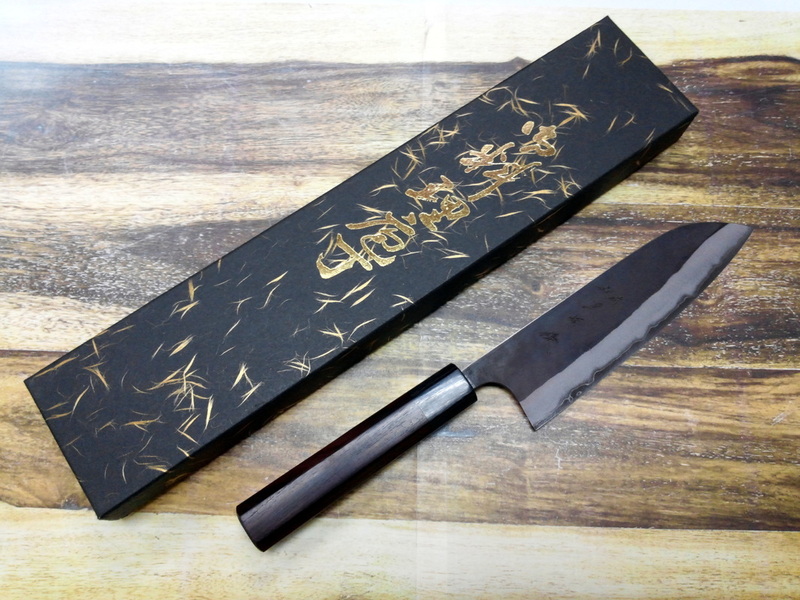 Skillfully hand forged with Aogami Super blade core, the same Aogami Super (AS) Steel as used in the High End Masakage Koishi Series, Takeda, Asai ,Hiromoto and Terayasu Fujiwara Knives. 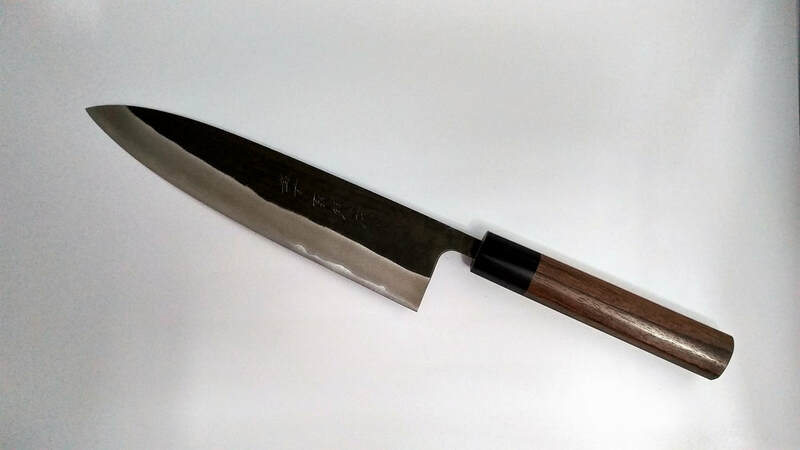 A much favored tool steel by the skilled knife makers of Japan hardened to 62HRC in Kurouchi finish, cladded in Stainless Steel for ease of maintenance with Rosewood handle. 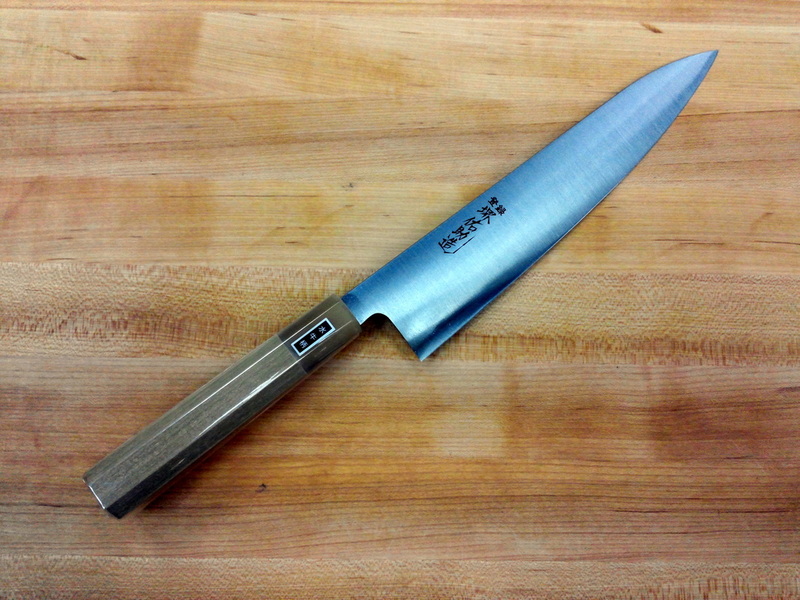 A performance knife series that will deliver great cutting ability and edge retention. 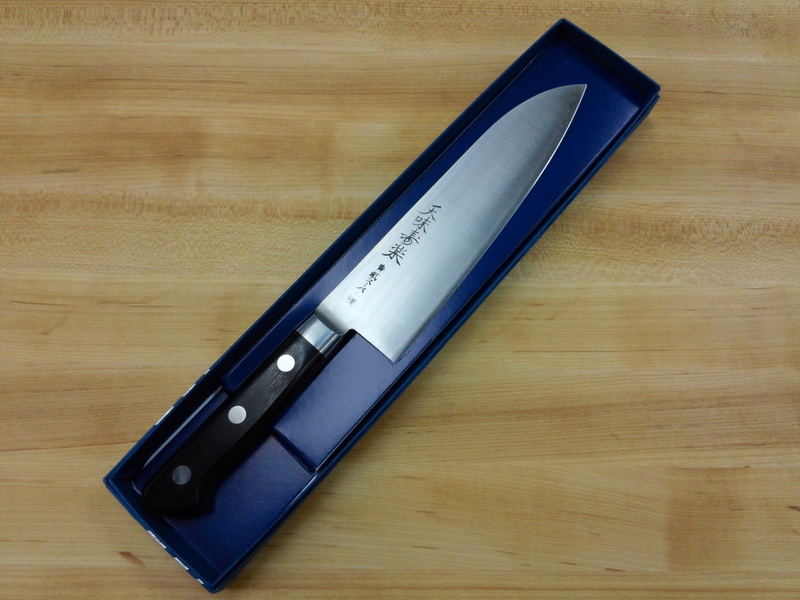 Sakai Yusuke knives are well known among knife enthusiasts and professional chefs for their top notch fit and finish, laser gyuto profile with good steel and heat treatment of White Steel #2. 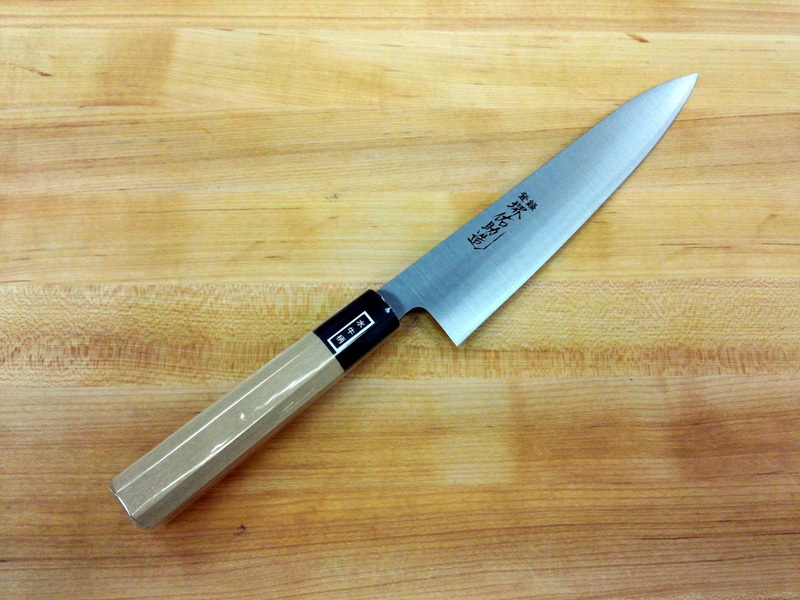 This combination of White #2 Steel and Laser Gyuto profile give these knives keen sharpness and superior edge retention, making it an excellent performer in the kitchen. 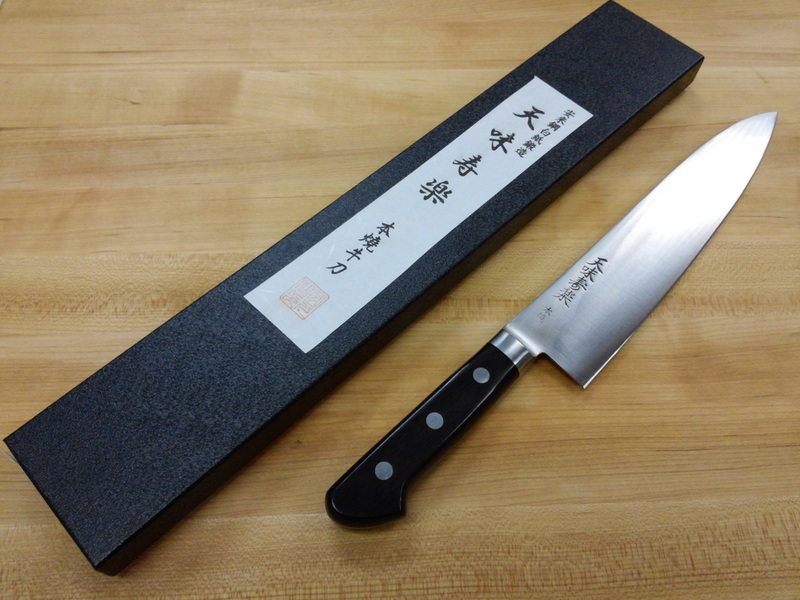 The knives are fitted with traditional ho wood handle and beautiful buffalo horn ferrule.